In honor of Co-founder Jena Lee Nardella’s first book, “One Thousand Wells,” being released in August, we’re taking it back to the very early days of Blood:Water for this #throwbackthursday! 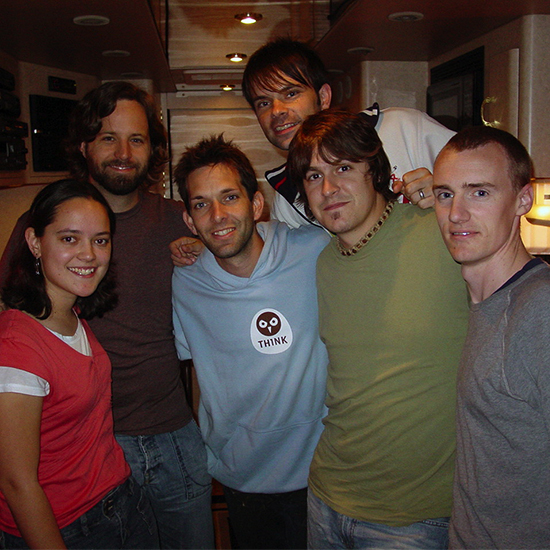 Check out this photo of Jena with the Jars of Clay guys during the days when Jena joined them on the tour bus as they worked on getting Blood:Water started! Don’t forget you can help us get the word out about the book this summer by joining our book launch team! Sign up today at bloodwater.org/onethousandwells. Share the book on social with #1000wells!